We’ve made it to 37 weeks! 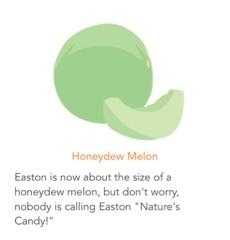 Easton is full term and I’m about fully ready to have him. 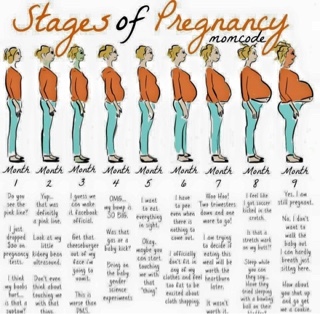 I found this “Stages of Pregnancy” this week on Facebook and couldn’t agree more. The trouble is..I thought I wa peeing a lot a month ago. I had no idea it could be even more frequent! If I stand up, I have to go. If I cough, I have to go. If I breathe, I have to go. 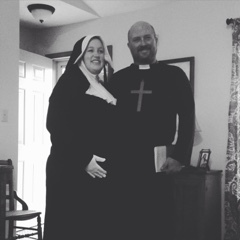 The hubs and I took advantage of the perfect Halloween costume….a pregnant nun and a priest. I’m sure this offends some but it’s all in good fun. Lord, bless our baby! 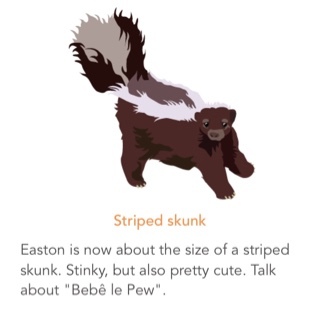 We had a doctors appointment on Monday and got to see Easton. His cheeks are chubby. His belly is chubby. 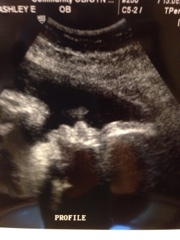 His lips are pouty and I seriously can’t wait to meet him. Found out I’m dilated to 1 cm and it could be any day! It could also be a while. So, every move I make or pain I feel I start to panic that I’m going into labor. My sweet man has never missed an appointment and I know that makes me a lucky girl. He even became an adult this week and made a couple of appointments of his own, including some vaccinations he needs and a check up on himself. 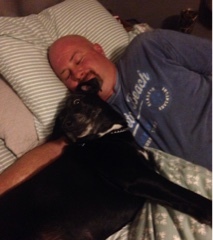 He always makes sure to love on our exceptionally lazy, overwhelmed pooch, Shiloh. She’s been one hot mess lately. In our faces. Acting like she’s about to be replaced or something. 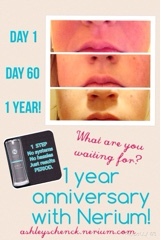 1 year anniversary with Nerium this week! Love this stuff. Wouldn’t sell it if I didn’t. Seriously love what it does to take care of my skin and how freaking simple it is to use. One little bottle in my bathroom and one step each night. I see so many other competing companies and can’t imagine having to add shelving in my bathroom just for all those products! Today my class celebrated with me and threw me a baby shower. They guessed how many m&ms in a baby bottle. They tried to figure out how much streamer it would take to go around my belly. Some were nicer than others! 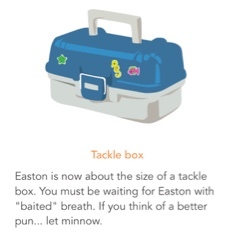 They made me an advice book with a silly picture of Easton. Their advice is priceless and wonderful. We had pizza and cupcakes and they had so much fun. They all chipped in to get me a gift card and I feel so blessed! I’m going to be sad to leave them. I knew it would be hard but they’ve made it even harder because they are such an amazing class! I have complete faith they will stay incredible while I’m gone and be prepped and ready for my return in late March. Probably the highlight of my day Was hearing about a baby gift arrival…..our umbrella stroller and swing. Love getting gifts in the mail from amazing friends! Even better is that the FedEx guy who dropped off the swing asked Mike if he was going to be a first time GRANDPA. A grandpa?!?! Oh I wish I could have been there to see my sweet husbands face. I would have gladly told the delivery driver that those grey hairs that cover his chin and the bald head….those things are from being married to me.